This system is also available for a high flow, high capacity applications: Model RO2000-01. It economically produces 10-Liters/hour of RO purified water by removing >95% of the contaminants in the incoming tap water. The system includes a built-in, high-capacity activated carbon pre-filter and a 42-Liter pressurized tank to store the RO purified water. RO production is 10-Liters Per Hour. 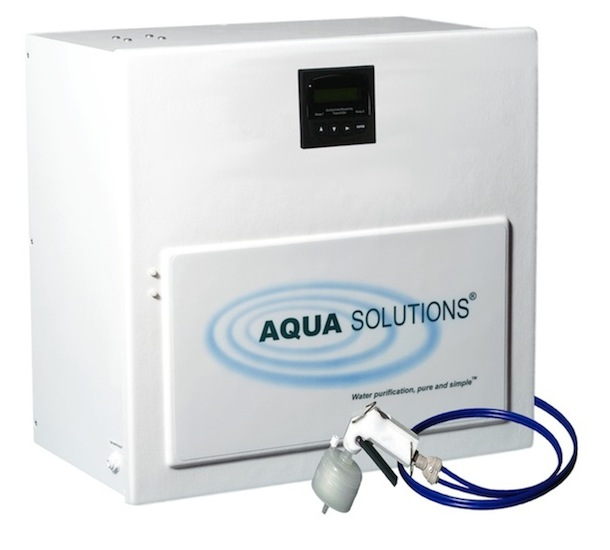 Includes 42-Liter pressurized storage tank reduces the risk of contamination and eliminates the need for a transfer pump. Pressurized Storage The included 42-Liter pressurized storage tank reduces the risk of contamination and eliminates the need for a transfer pump.